This site is situated in the Cluwok hamlet, Bono village, Moyoketen, Boyolangu District, Tulungagung, East Java. About 500 families in Cluwok are depending their life by being starfruit farmers. To reach the location is can be accessed from the center of Tulungagung heading to west. The tourist Buses can enter the location, so they will have comfortable parking space. Around the plantation, the visitors allowed to pick the starfruits and directly eaten. To reap the fruits, the visitors will be accompanied by a guide who served and they will help to choose the perfect fruit. 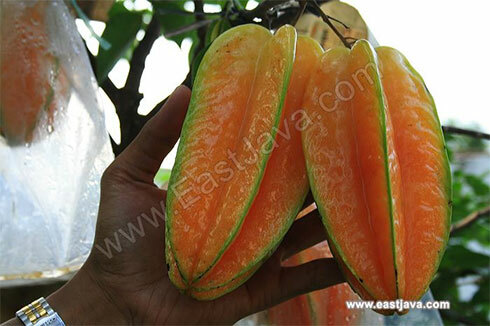 To ensure visitors to get perfect star fruit, it would be better to give notify within 2 weeks in advance, so that the farmers will prepare for the visitors. Visitors can pick fruit and that would be measured by the farmer.